Ride the trapars and take to the skies once more! 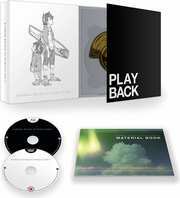 Eureka Seven Hi-Evolution 1 Movie from studio Bones returns for the first movie in a high-flying trilogy. 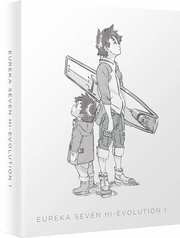 The revolutionary mecha anime returns with the story that was left untold—the earth-shattering incident where Renton’s father disappeared. With Eureka by his side, only Adroc Thurston could undo his own mistake. Now, ten years later, Renton finds himself in the care of his father’s old friends and facing a decision that will change everything.